Local children from the Three Village area (Stony Brook- Setauket) gear up for their annual lemonade stand! Event takes place on Wednesday, August 24th. Rain date will be Thursday, August 25th. Photo by: Karolina Przybysz, via Free Images. Stony Brook, NY - August 11, 2016 - Local children from the Three Village area (Stony Brook - Setauket) gear up for their annual lemonade stand! 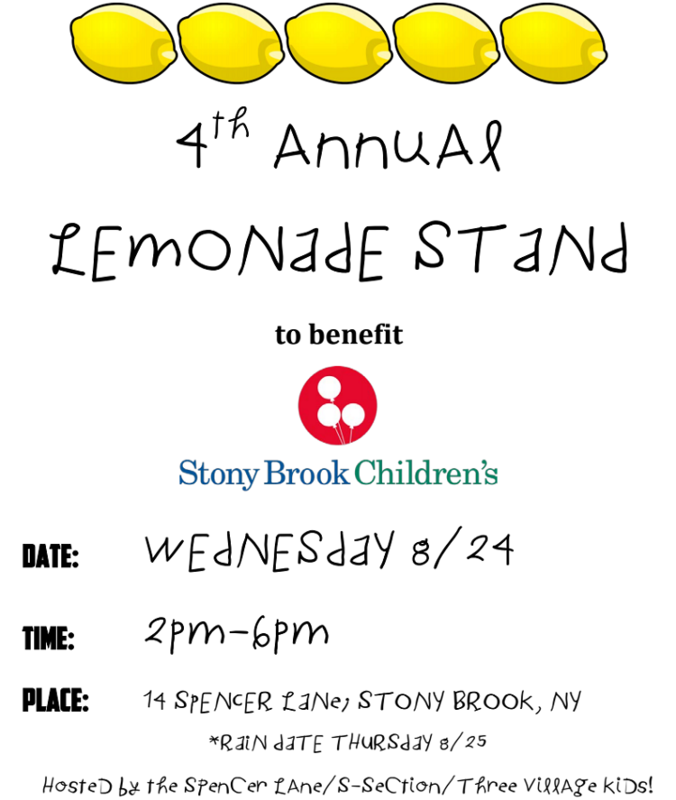 Please join on Wednesday, August 24th from 2pm-6pm for the "Spencer Lane (S-Section) Kids Annual Lemonade Stand" to raise money for the Stony Brook Children's Hospital. Last year these incredible kids raised a total of $3900! $2800 from lemonade sales + $1150 from 12 year old Joseph Mastriano who collected donations from family and friends instead of birthday gifts for this great cause. Funds to the hospital were matched by an anonymous donor, making the donation $7900. The kids were recognized by members of the hospital staff, as well Governor Cuomo who sent a proclamation to the children. Last year Brookhaven Town Supervisor Ed Romaine joined the festivities and shared a glass of lemonade with us. Children from the surrounding neighborhoods of all ages (pre-school through high school) join in every year with their attempts at raising more money than the year before. It is an exciting day. Representatives from the Children's Hospital may be on hand. Plus they are known to have special visits from the local fire department. The lemonade stand was started 4-years ago when brother and sister Maddie & Joseph Mastriano wanted to sell lemonade for a good cause. Once the stand went up in front of their home, the neighborhood kids pitched in right away, eager to help. A small idea has grown into an annual event that the children, neighborhood and hospital staff look forward to every year. This year, the lemonade stand is already starting with a $5000(+) donation-collected by Maddie Mastriano as gifts from family and friends in honor of her Sweet 16. She chose to use her party to bring awareness to the hospital by raising money for the facility instead of receiving gifts for herself. *Rain date will be Thursday, August 25th. Summer Bucket List 2016: Celebrate Summertime with Tons of Local Fun Right Here on Long Island! Fun Ways to Welcome April, Local Sports, Events, News & More in March 28th's Newsletter! 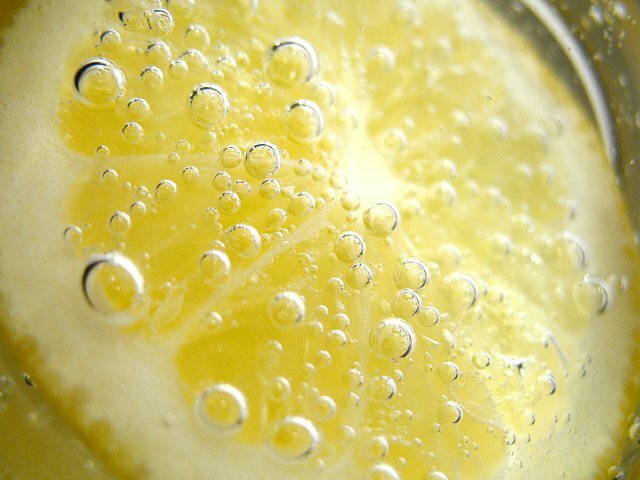 Subject: LongIsland.com - Your Name sent you Article details of "Local Kids Annual Lemonade Stand for Stony Brook Children's Hospital on August 24"